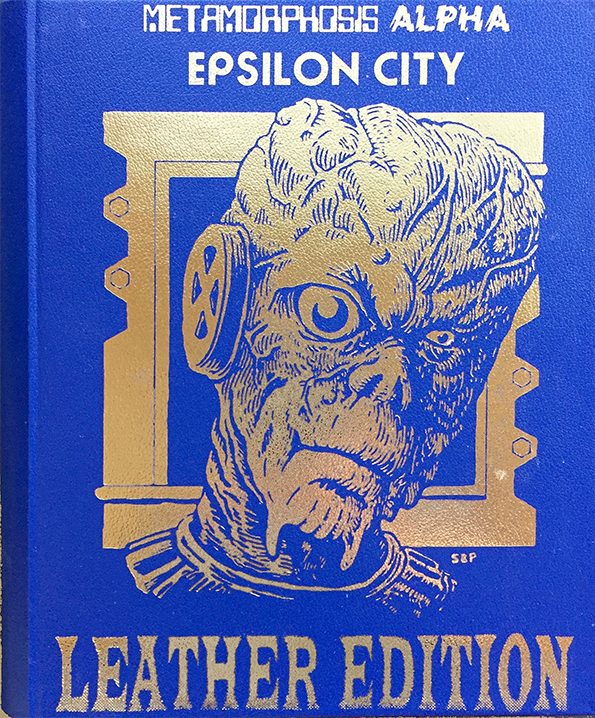 This is the special leatherbound edition of Epsilon City! 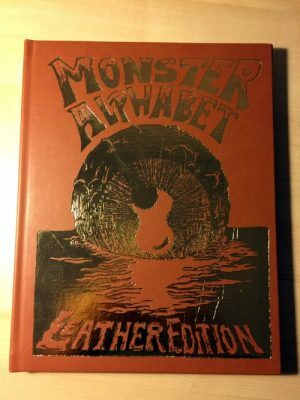 Contained in the same attractive box as the regular edition, it contains a hardcover edition bound with real leather with a foil imprint, as well as the box’s other contents! On a spaceship 50 miles long with more than a million colonists, Epsilon City was the single largest habitation. It was filled with entertainment centers, apartments, and offices for all the people moving about the ship during the long voyage. The city was designed to be maintained by its own artificial intelligence (A.I.) and a special series of robots able to maintain areas of the city when breakdowns happened. 2016 marks the 40th anniversary of Metamorphosis Alpha! In honor of this milestone, creator James M. Ward has authorized Goodman Games to publish Metamorphosis Alpha: Epsilon City. 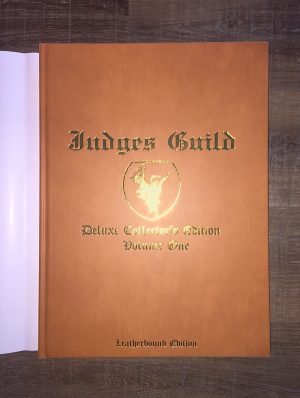 This huge expansion for the starship Warden is the biggest expansion for the original 1976 edition ever published! 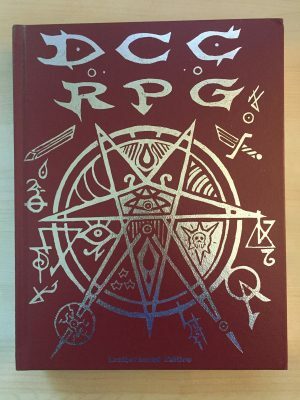 This box contains: The 272-page spiral-bound hardcover Epsilon City setting book, three 11”x17” maps, a 20-page cyborg supplement, and a 56-page adventure supplement.